Susan B. Stack is owner and operator of Fusion Movement Pilates. Susan personally understands the debilitating and traumatic experience of chronic injury and pain due to a history of hyper-mobile joints and a highly sensitive nervous system. She embarked on a journey of professional study and personal self-healing to learn what was happening in her own body in order to help others heal and transcend chronic injuries and pain as well. 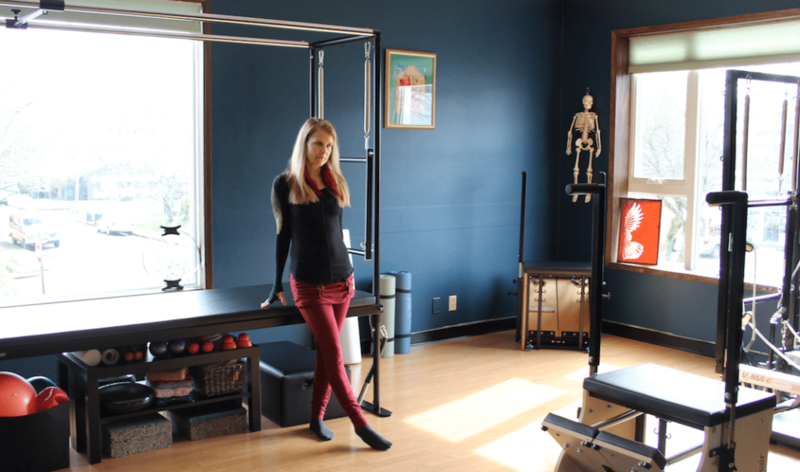 By incorporating Pilates as an integral part of her life, Susan found the rehabilitation, support, and stability that her own body needed to overcome numerous injuries. Susan’s extensive training and personal experience have provided her with the skills and empathy needed to specialize in Pilates for therapeutic and functional movement. Guiding her clients toward a sustainable life of wellness, Susan designs Pilates programs for each unique individual that help reprogram proper movement patterning to offer support, balance, and healing within the nervous, fascial, and musculoskeletal systems. >> Read more about Susan’s professional credentials.